University of Hawaiʻi - West O‘ahu Academy for Creative Media (UHWO ACM) will debut its third trailer at Regal Kapolei Commons 12, produced specifically for Kapolei Commons. The 90-second short film, entitled “Ūlia,” was written and directed by Nakoa Camvel, a creative media student. 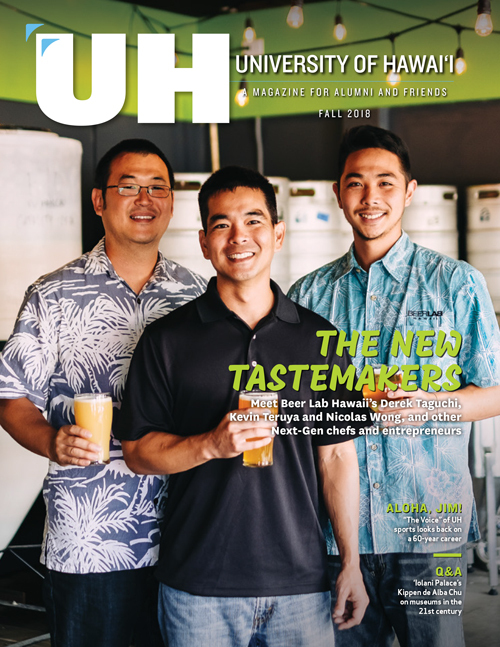 He was assisted by fellow classmates Kevin Bechayda and Hadji Corpuz with actors from the West O‘ahu campus community—most from the Creative Media program. The trailer is about a working class man spreading the Aloha spirit by helping others in need. A twist in the end will reveal how the cycle of paying it forward always prevails. To further support UHWO ACM, Regal Kapolei Commons 12 will donate 50 precent of concession sales generated on Friday, October 26 to the UHWO ACM program. In addition to offering the traditional movie snack items, Regal Kapolei Commons 12 features local favorites including gourmet hot dogs, 100% Angus beef burgers, malasada bites, mozzarella sticks, jalapeno poppers and the most popular item, the “off the hook” combo – popcorn mixed with Maui potato chips, shaken with Ghirardelli chocolate and caramel, and topped off with a La Tour Café brownie.